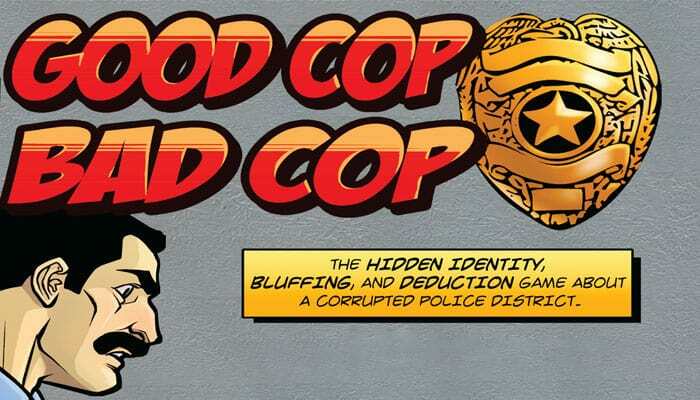 Good Cop Bad Cop is a 52 card hidden identity, deduction game where each player takes on the role of a law enforcement officer but corruption has infiltrated the agency. Players must investigate others to figure out who is on their side, grab one of the 2-3 guns on the table, and shoot the opposing leader to win the game. 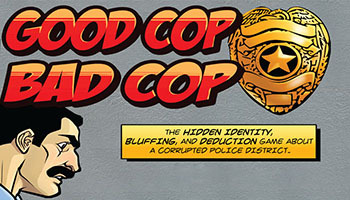 The Kingpin must be taken down before the crooked cops take out the Agent. You wont be able to do it alone but there is no knowing who is honest and who is crooked. Do some investigating to discover who is who but act fast; there aren't enough guns for everyone!